The Ritz-Carlton hotel brand is one of the world's most famous and respected hospitality names. Everywhere, these two hyphenated words signify superlative accommodations and benchmark service. The Ritz-Carlton is a top-tier hotel management company that manages individually owned hotel properties for their private owners. The company is part of the Marriott hospitality giant based in Bethesda, Maryland. 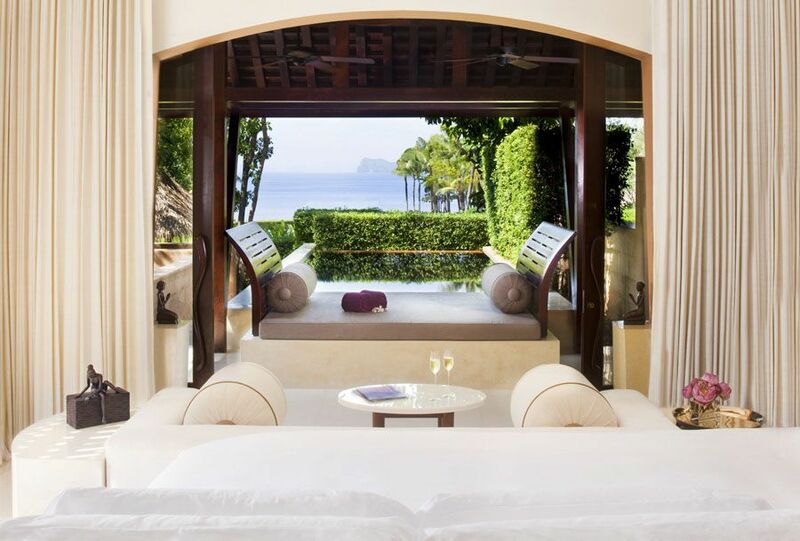 The Ritz-Carlton can be counted on to deliver a superlative guest experience. Its hotels are continually honored with travel awards. Many of the properties possess the rare five-star and five-diamond ratings. If you were wondering what these true luxury hotels are like and where they are, here some facts about The Ritz-Carlton. Simply put, The Ritz-Carlton makes attentive and respectful service its mission and sets the industry standard of five-star hotel service. Read more about The Ritz-Carlton's guest-loving hotel service. The Ritz-Carlton also operates one of most fruitful guest rewards programs around, The Ritz-Carlton Rewards. Enrollment is complimentary, and perks start cropping up after only 10 nights' stay per year. As of September 2017, Ritz-Carlton operates over 100 properties in 31 countries around the world. Nearly half are in the U.S. (Florida alone boasts 10 hotels, and California seven.) Here's a geographic list. The Style of The Ritz-Carlton: every property looks different. A luxury traveler reserving a room in a Ritz-Carlton hotel, whether a resort or urban property, can expect a very high level of design throughout the hotel. And fresh flowers, too: lavish displays of indigenous blooms are a decorative signature of Ritz-Carlton lobbies. Apart from flowers everywhere, there is no "company look" when it comes to Ritz-Carlton style. Some hotels are classic. They occupy historic or vintage buildings and are classically decorated. They often have elegant New England-style furniture in rooms and suites, and massive crystal chandeliers and gilt-framed oil paintings in the lobby. Other hotels are airy, modern glass towers, such as The Ritz-Carlton, Fort Lauderdale. The architecture of Hotel Arts Barcelona and The Ritz-Carlton, Toronto (seen above) is so spectacular that these buildings became instant architectural landmarks in their cities. Still other Ritz-Carlton hotels are designed to echo their surroundings. These include the restored Miami Art Deco palace that is now The Ritz-Carlton, South Beach and the Rocky Mountain lodge of The Ritz-Carlton, Bachelor Gulch in Colorado. All Ritz-Carlton hotels feature splendid restaurants and bars. Many offer exceptional on-property spas and championship golf courses. Ritz-Carlton Reserves are super-high-end smaller, boutique hotel-style properties, with an enhanced level of even Ritz-Carlton's benchmark service. The first Ritz-Carlton Reserve, opened in 2011 in southern Thailand, was Phulay Bay, a Ritz-Carlton Reserve. This glorious property (shown above) comprises 54 stunningly beautiful villas, each with a private butler. The second was the 1,400-acre Dorado Beach, a Ritz-Carlton Reserve. It opened in December 2012 on a one-time Rockefeller family estate in Puerto Rico, with a magnificent 1920s hacienda as its centerpiece. The property offers 100 guestrooms, 14 suites, and four championship golf courses. Mandapa, A Ritz-Carlton Reserve, opened in the arts village of Ubud on Bali, Indonesia, in 2015. Ritz-Carlton Reserves are in the planning stages in Los Cabos in Mexico and Tamuda Bay in Morocco. For many luxury travelers, the "point of difference" of the Ritz-Carlton hotel brand is its Club Level of enhanced accommodations. Club Level rooms and suites enjoy upgraded amenities such as complimentary wifi, butler-style services like laundry, and take-home sizes of toiletries, and a personal gift. complete business center, meeting and conference rooms. Many Club Lounges have a children's room (and are popular with families). Often, Club Floors offer great views. Here's help deciding if a hotel club-floor upgrade would be worth it to you. On The Ritz-Carlton website; the brand's mobile app; on Facebook; on Twitter (@RitzCarlton); on YouTube; on Instagram; by phone from the U.S. and Canada: 800.542.8680.